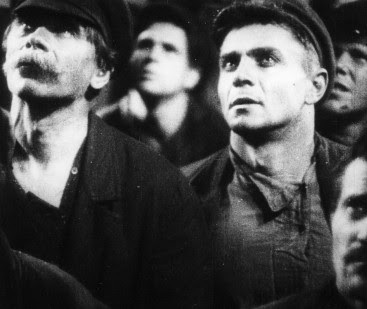 Part of the Retrospective strand at this year's Berlinale, "The Red Dream Factory" presented a number of inventive and pioneering Soviet and German films of the 1920s and 30s. 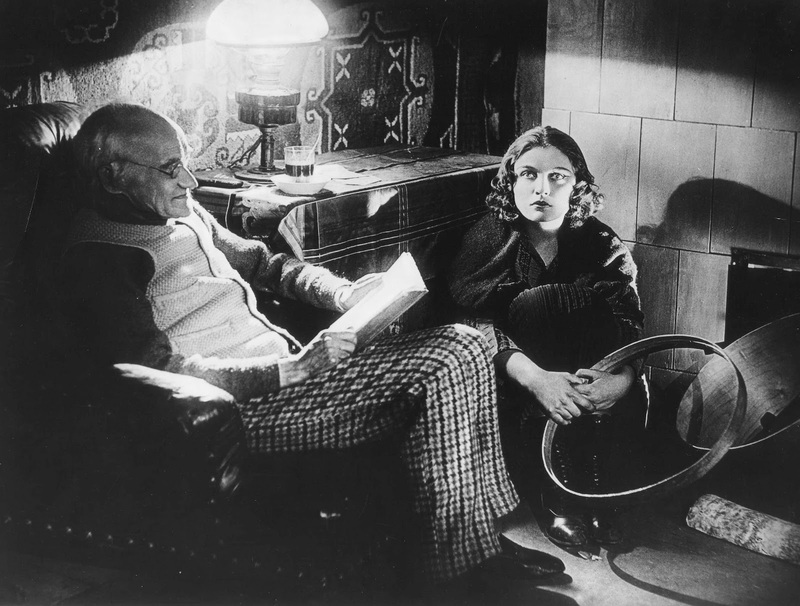 Of these I saw two directed by Boris Barnet: enchanting 1927 silent comedy 'Devushka S Korobkoi' ('The Girl With a Hat Box') and early sound film 'Okraina' ('Outskirts'), in which small town life is shattered by the coming of the First World War. 'Hat Box' is fantastic - the film people who sit down to watch 'The Artist' think they're seeing, with buckets of charm and loads of really cleverly devised physical comedy and sight gags. Star Anna Sten - as fiercely independent small town hat maker Natasha - is so beautiful and captivating that she seems the Russian equivalent of Clara Bow: highly expressive, inherently lovable and naturally very funny. It's not that surprising that Samuel Goldwyn brought her to the US in the 30s in order to make her a huge international star. Sadly that never worked out as planned with Sten appearing in several flops, though she did star alongside the likes of Gary Cooper (in King Vidor's 'The Wedding Night') and Frederic March ('We Live Again'). As well as being timelessly funny the film is actually fairly risque, culminating the suggestion that Natasha is settling down with both her admirers: a homeless klutz who she hastily marries in order to give him a place to live, and the train station guard who obsessively follows her. Yet somehow this climax feels sweet and innocent to a fault. 'The Girl With a Hat Box' is breezy and light on its feet - the definition of a good time. 'Outskirts' is a very different proposition, with the harmless escapism of the earlier comedy replaced by a much more socially conscious, actively political anti-war film. 'Hat Box' has a political element to it: Natasha and her male friends are hard working and poor, whilst their enemies (the owner of the store that sells her hats and her greedy lover) are decadent and seek to profit from the work of others. Yet this feels incidental and, arguably, it isn't a million miles away from the populism of a Frank Capra movie. By comparison 'Outskirts' depicts the pre-revolutionary Russia as a place where local authorities put down striking factory workers with a cavalry charge. It's still funny and endlessly inventive - playing games with early sound to create strange sound effects and to enable an increased sense of spacial continuity (for instance, action from a previous scene might still be heard if the next takes place in an adjacent room). Best of all it enables Barnet's lyrical sense of visual comedy to expand into a world of new sensory possibilities. One inspired gag assigns the same sound effect used for a cavalry charge to a child's rattle, frightening who is hiding from the mounted police. Perhaps its the more important and experimental film, even if it doesn't ever match 'Hat Box' in terms of fun.